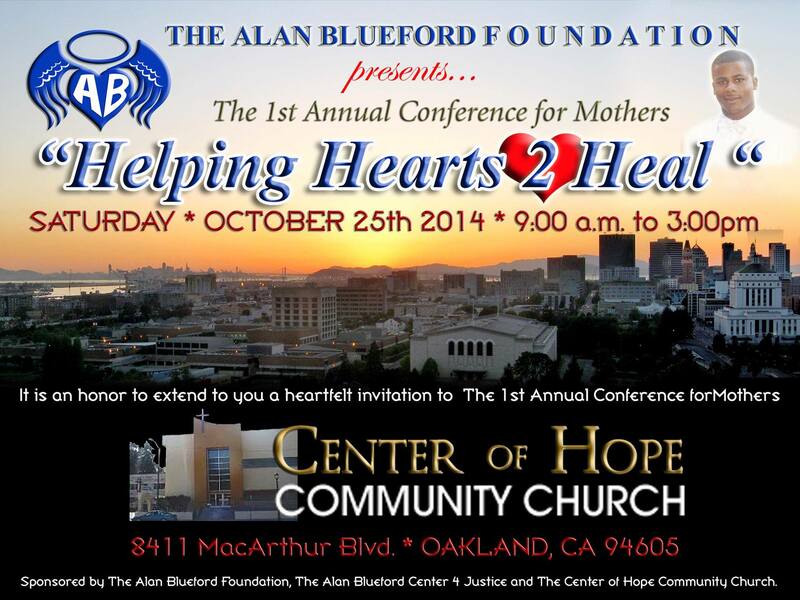 Event | Justice 4 Alan Blueford! Tell the City Council: Stop police terrorism! Posted on May 19, 2013 by twothreemany | Comments Off on Tell the City Council: Stop police terrorism! Join JAB at the City Council Budget Hearing, 5:30 pm, Thursday, May 23 to demand better priorities. The proposed budget advocates for 4 police academies over the next 2 years, increasing the number of officers and increasing OPD’s funds (which already monopolize 42% of the city’s budget) overall. The starting Salary for Police is $69,000 and $98,000. Most cops make well over $120,000 in salary. According to KTVU, The City of Oakland has paid out $57 million from 2001 to 2011 to victims of Oakland Police Abuse: the LARGEST amount of any city in California. They use our hard earned dollars to soak up the blood from their beatings and murders. The East Bay express reports that Federal Monitor Frazier wants to reopen several cases where cops covered up their brutality, especially around serial killers such as Patrick Gonzalez. But since the rot goes so deep, why stop at Gonzalez? We are a coalition fighting for justice for one of the many murdered people, 18 year old Skyline High school senior Alan Blueford. He was shot pleading for his life on the night of May 6th, 2012. Our demand is that the city fire and charge Officer Miguel Masso with the murder of Alan Blueford. Alan was racially-profiled; there was no reason for him to be stopped, much like the other incidents in the Frazier report. Alan ran for two blocks and posed no threat to Officer Miguel Masso. According to the Oakland police’s OWN report, multiple witnesses said Alan’s last words were “I didn’t do anything”. Police Chief Howard Jordan said that Alan Blueford was taken to the hospital, but after checking with the hospital we learned this was a lie as well. Quan wants more academies for more police. But we don’t want to waste money training highly paid assassins and their silent accomplices. We say not a dollar more till they stop killing our children. Comments Off on Tell the City Council: Stop police terrorism! On the one year anniversary of Alan’s murder by OPD Officer Miguel Masso, we will honor Alan with a candlelight vigil. We will start at Sunnyside Park and walk to the site where he was murdered, at the 9200 block of Birch St. Candles will be provided. Protest the Hiring of William Bratton! Posted on January 18, 2013 by twothreemany | Comments Off on Protest the Hiring of William Bratton! On Tuesday, January 22nd, join the JAB Coalition and allies and come on back out to City Hall as the full City Council weighs what to do now that the Public Safety Committee has recommended moving forward on the Wasserman/Bratton consultancy proposal. Bratton is the former head of the NYPD and LAPD and a leading advocate of stop-and-frisk, “zero tolerance” policing, and other policies that mean racial profiling and harassment. In addition, the 22nd will be the 2 year anniversary of the murder of Raheim Brown by OUSD police officers Barhim Bhatt and Jonathan Bellusa. Please join us to come together for a rally to honor the lives of all of Oakland’s sons and daughters murdered by the police. The City Council meeting will begin at 5:30 pm and the rally will start at 5:00 pm at Oscar Grant (Ogawa) Plaza. Comments Off on Protest the Hiring of William Bratton!